As 2016 comes to a close its time to look back on one of 2015’s more interesting cases involving False Claims Act violations in the field of education. Nearly a year ago, the government announced a settlement that it had reached with Education Management Corporation (EDMC). The $95.5 million settlement resolved allegations that EDMC had violated federal and state False Claims Act provisions by falsely certifying that it had been in compliance with Title IV of the Higher Education Act (HEA). Moreover, EDMC had also been accused of violating parallel state statutes. “This historic resolution exemplifies the Justice Department’s deep commitment to protecting precious public resources; to defending American consumers; and to standing up for those who are vulnerable to mistreatment, abuse, and exploitation,” said Attorney General Loretta E. Lynch at the time. The main allegation in the case is that EDMC had unlawfully recruited students by running a high pressure operation where admissions personnel were paid purely on the number of students they enrolled. This was in violation of HEA’s Incentive Compensation Ban (ICB). The global settlement reached back then also encompassed an investigation by a group of state Attorneys General of consumer fraud allegations involving deceptive recruiting practices. “Now more than ever, a college degree is the best path to the middle class, but that path has to be safe for students,” said U.S. Education Secretary Arne Duncan back then. Student enrollment across EDMC’s schools exceeds 100,000 students. 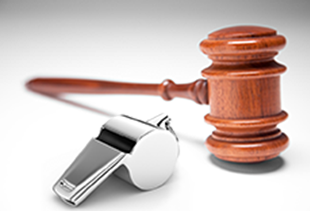 The settlement resolved four separate False Claims Act lawsuits that were filed in federal court in Pittsburg, Pennsylvania and Nashville, Tennessee under the qui tam, or whistleblower, provisions of the act. This provision allows individuals to sue on behalf of the government and to then share in any monetary recovery. Specifically, the government claimed that from 2003 to 2015, EDMC falsely certified to the U.S. Department of Education and various state offices of higher education that it had complied with the ICB in order to be eligible to receive the federal grant and loan dollars that compose most of EDMC’s revenue. In fact, according to the complaint, EDMC ran an aggressive sales business and paid its recruiters based only on the number of students they enrolled. As a result of these allegedly false certifications, EDMC garnered more than 10 years’ worth of federal and state grant and loan dollars. The global settlement with EDMC also resolved three additional federal FCA lawsuits in which the government did not intervene, all involving various violations of Title IV of the HEA by EDMC. “Improper incentives to admissions recruiters result in harm to students and financial losses to the taxpayers,” said Principal Deputy Assistant Attorney General Benjamin C. Mizer, then head of the Justice Department’s Civil Division. Lastly, the settlement also resolved a consumer fraud investigation by an alliance of 40 state Attorneys General, into EDMC’s misleading recruiting practices. This settlement required EDMC to undertake various compliance obligations, including making detailed disclosures of its obligation to students; prohibitions on deceptive or misleading recruiting practices and oversight by an administrator to ensure compliance. The proceeds from the settlement were shared among the United States, the co-plaintiff states and the whistleblowers and their counsel in the four False Claims Act cases. The United States received $52.62 million from the settlement and paid $11.3 million collectively to the relators in the four qui tam cases. If you have knowledge of fraud that has been committed against the government or one of its agencies you are encouraged to report it and to contact a qui tam law firm. An attorney there can advise you of your rights and gauge the strength of your case.